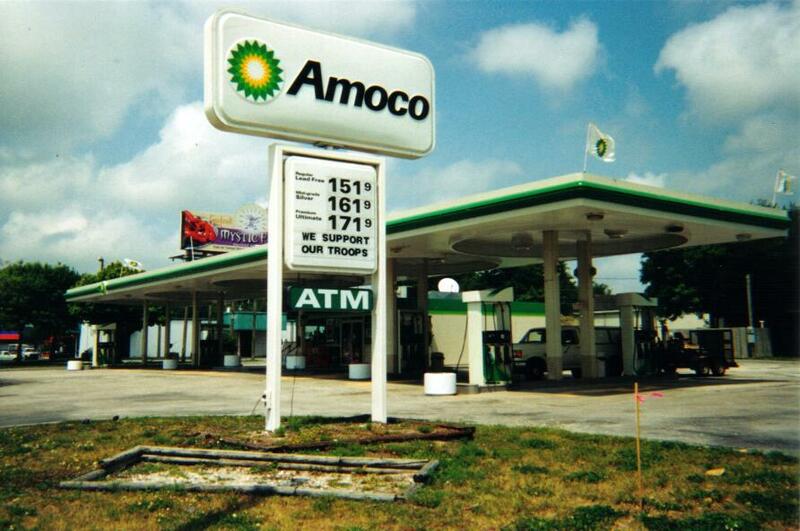 Amoco name and no BP showing on the sign. signs as shown on this page are unique. name with no BP lettering, so if you have one, send it along for inclusion. Fairgrounds, Tampa, FL. 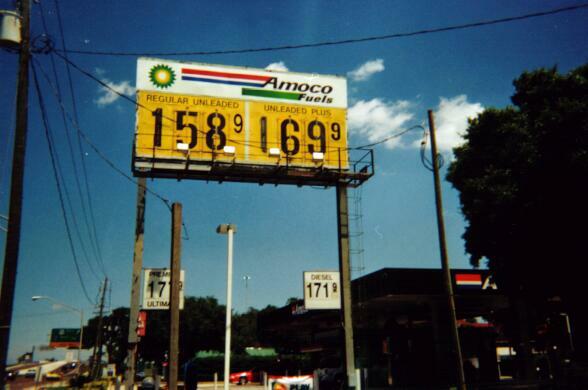 Station shows signs of having been a RaceTrac and a Speedway. 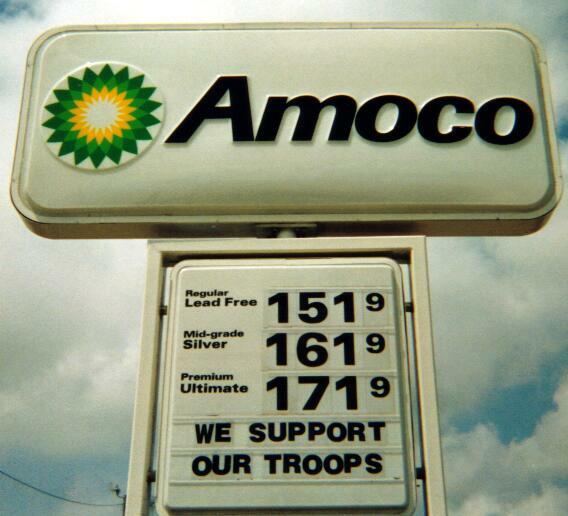 BP-Amoco May, 2003, Clearwater, FL. From Robert Droz. 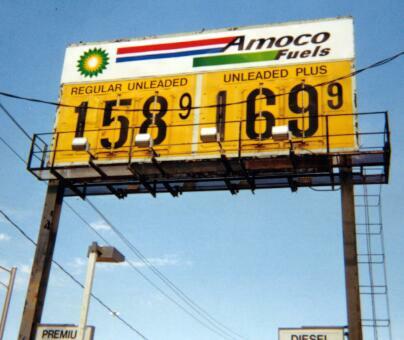 Across from an Exxon, might be why this former Mobil changed to Amoco. Attendant inside wore shirt with torch and oval. Flags show bp.